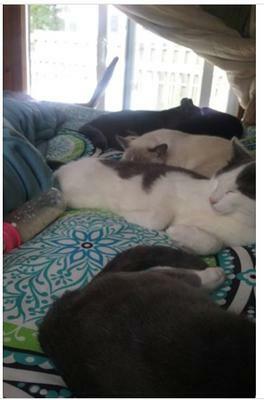 Our cat whiskers has been missing going on 3 days now here in colonial beach va. If you see him please contact us A.S.A P (all white with gray patches) male. Very very lovable. please call 540-940-4969 any time day or night. We miss our baby. Went missing from Holly Vista Dr.